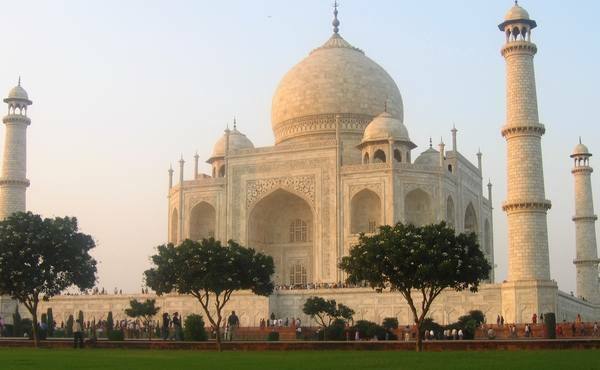 India has hundreds of attractions just waiting to be discovered, from stunning scenery to beautiful architecture, from colourful characters to an incredible array of wildlife. 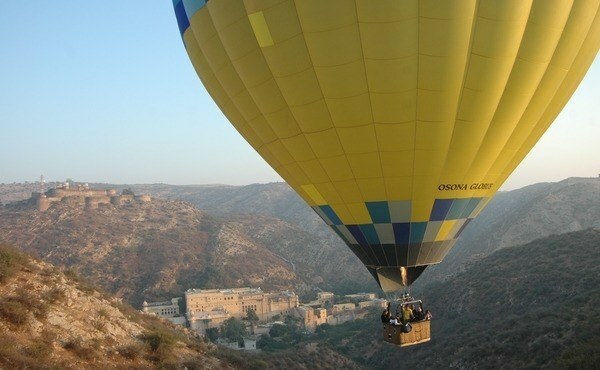 The combination of adventure and culture guarantees a stimulating travel experience for the ultimate holiday! 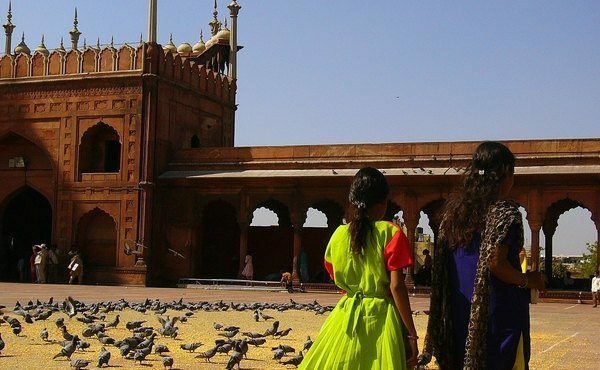 It is a magical trip through one of the most colourful parts of India. 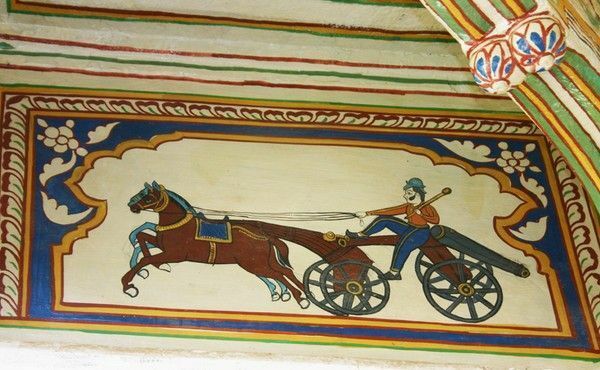 Drive to the Shekhavati area of Rajasthan, renowned for its painted frescoes and ornate havelis (merchants' houses). 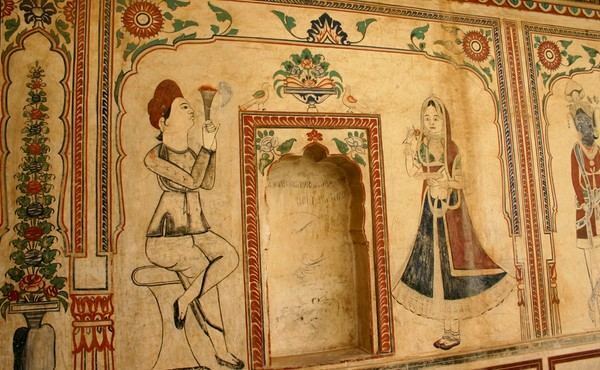 You follow a guided morning walk of Mandawa to enjoyed the painted havelis. 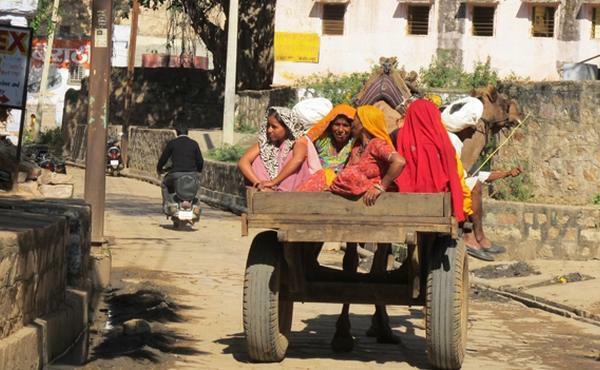 In the afternoon you take a camel ride to surrounding villages. 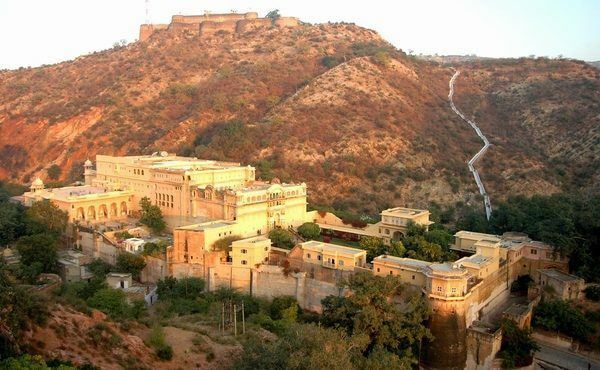 Continue to the small village of Samode which is nestled among rugged hills. Cobbled narrow streets curve up till you reach the fairytale palace. 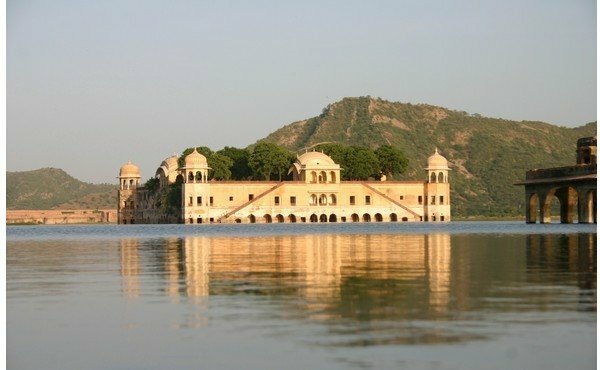 This superbly restored eighteenth-century palace was put on the map by its starring role in the 1984 mini-series `The Far Pavilions'. 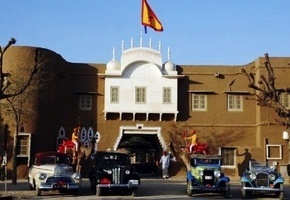 Drive to Jaipur, popularly known as the `pink city'. 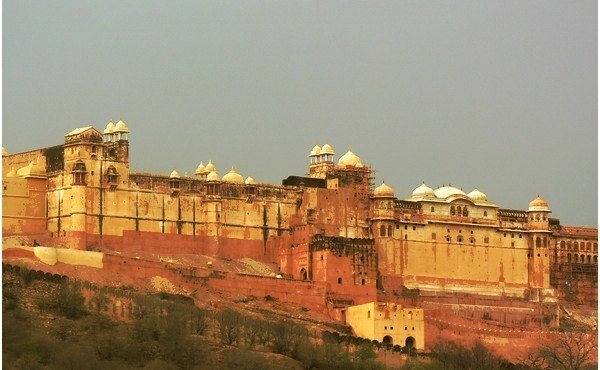 Afternoon excursion to the splendid Amber Fort, with magnificent views over the hills around. 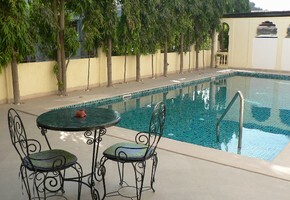 Morning Jaipur city tour. 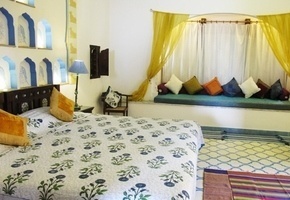 Remainder of the day at leisure to explore the lively bazaars and haggle for exotic souvenirs. 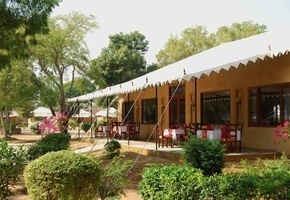 Drive to Ranthambore National Park where you stay in a deluxe tented camp. 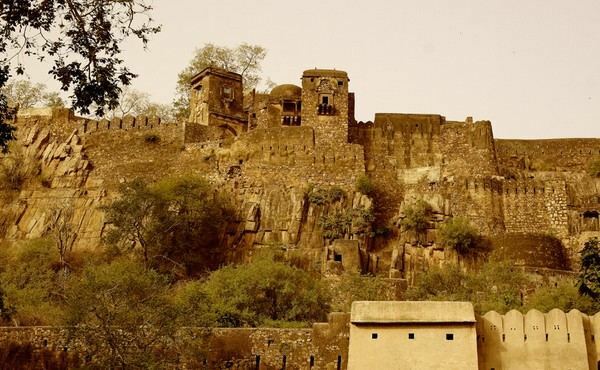 In the afternoon you visit the magnificent old Ranthambore Fort, now populated only by monkeys. 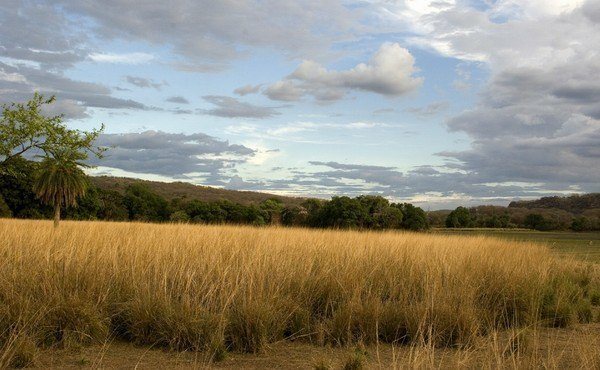 Today you take a morning and afternoon game drive and try to spot tigers and other wild animals. 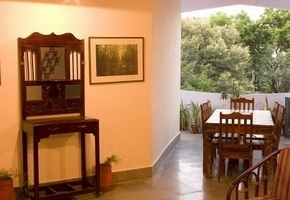 Drive to Karauli where you stay in a Maharaja's residence. 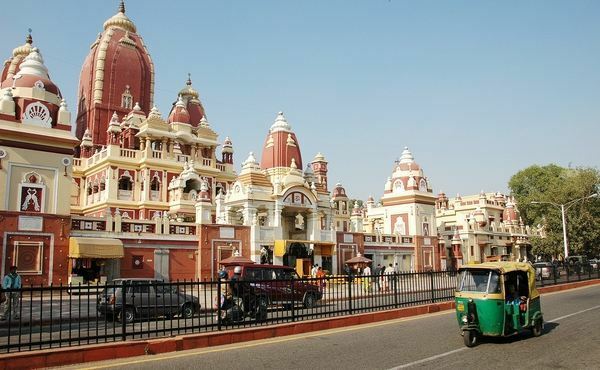 Afternoon walking tour of Karauli market (a very `local' experience!) 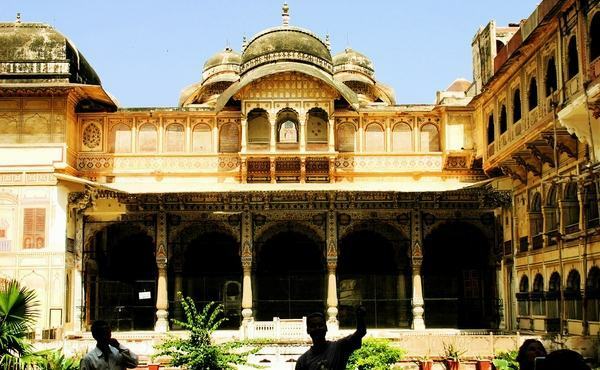 and the wonderful City Palace, where you won't see another tourist and can get lost for hours in the hidden passages and beautiful rooms. 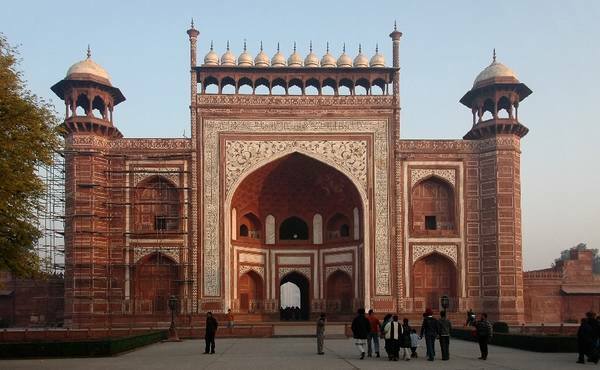 This morning you leave to travel to Agra, stopping at Bharatpur, famous for the nearby Keoladeo Bird Sanctuary, and the abandoned ancient Moghul capital of Fatehpur Sikri, a complex of forts, palaces and mosques built from sandstone. 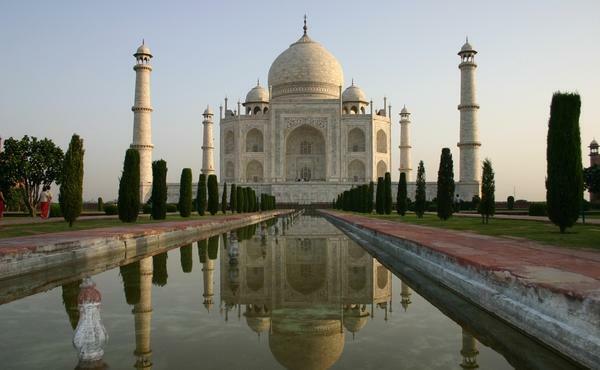 Visit the Taj Mahal, one of the most famous buildings in the world. 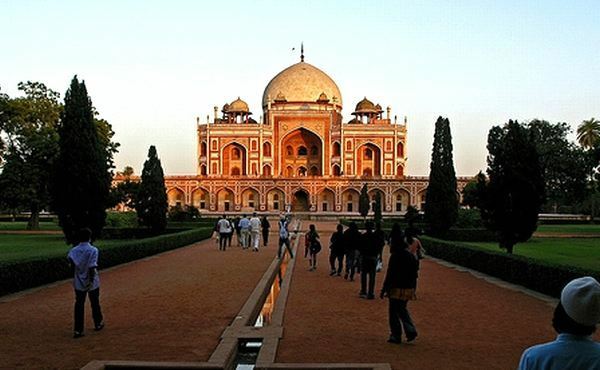 The pure white marble of the tomb seems to constantly change colour throughout the day and night. 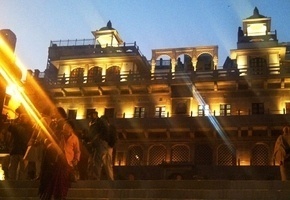 In the evening you board the sleeper train to Varanasi. 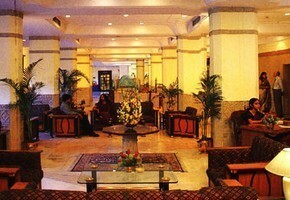 You arrive at Varanasi railway station where you are met and transferred to your hotel. 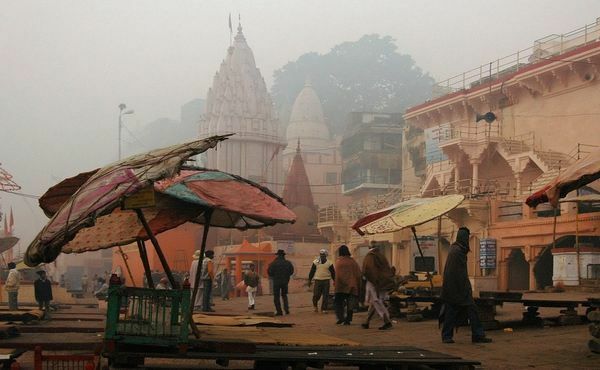 Varanasi is the most important pilgrimage place for Hindus who should come here at least once in their lifetime. 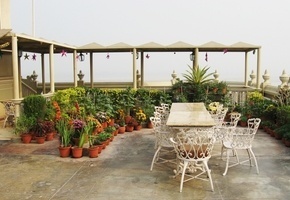 In the evening you witness the evening Aarti ceremony from a boat on the river Ganges. 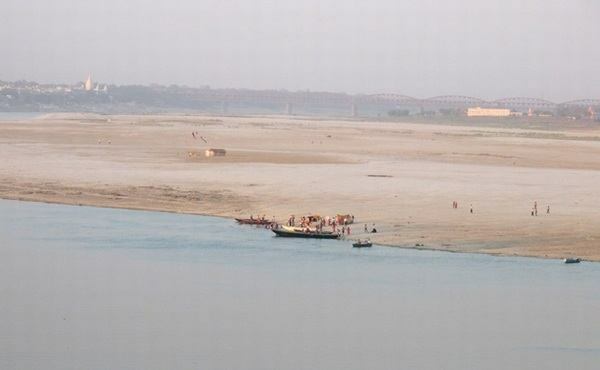 The principal attraction of Varanasi is the long string of bathing ghats (wide steps), which line the west bank of the Ganges. 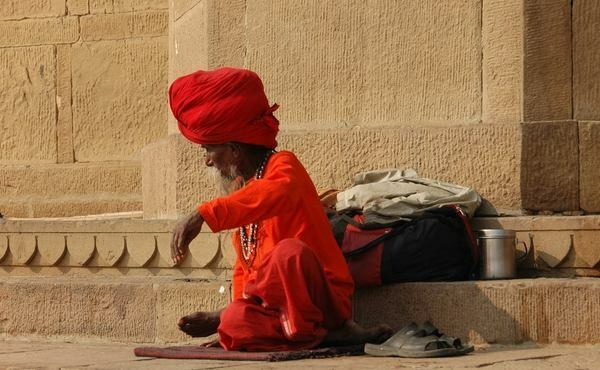 Hindus believe that anyone cremated on the banks of the river Ganges, especially at Varanasi, is certain to gain entry to heaven. 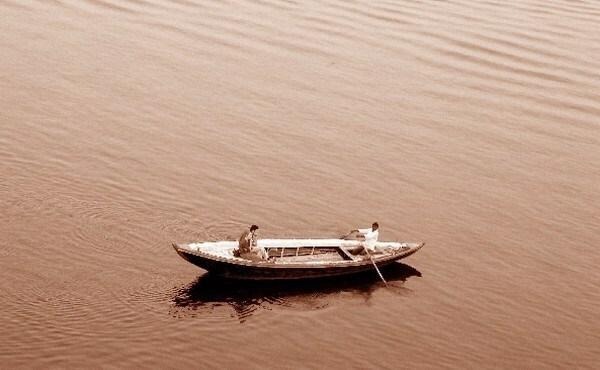 The best way to view the river is on an early morning boat ride. At this time it is possible to see the holy men chanting mantras as they bathe, a profound and unforgettable experience. 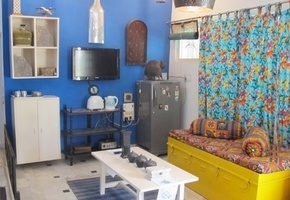 Varanasi is arguably the most colourful and photogenic location in India and a fitting climax to your trip. 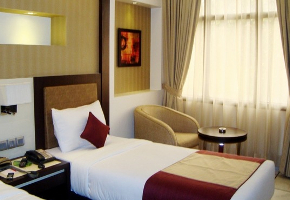 You have ample time to explore this holy city. 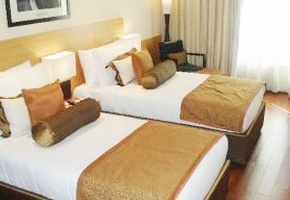 From EUR 1,465 per person based on two people sharing. 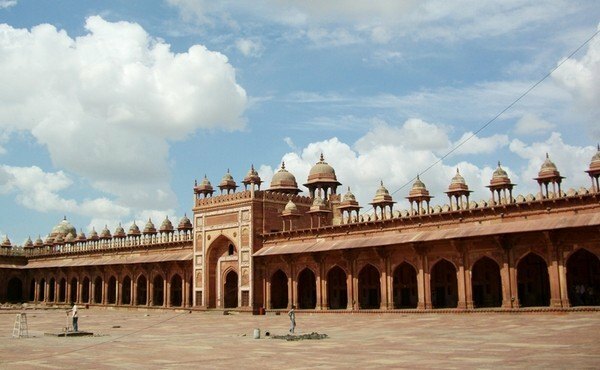 Overnight air-conditioned train from Agra to Varanasi. 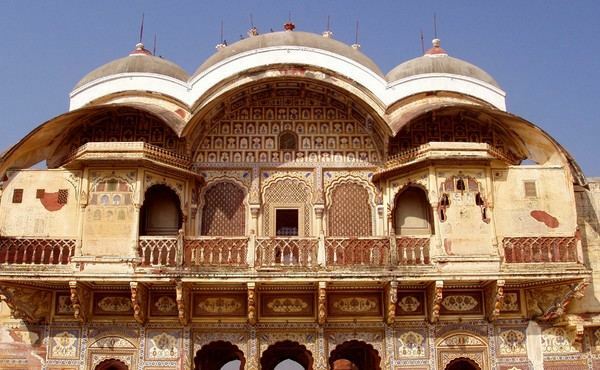 English-speaking local guide for tour of Mandawa, Jaipur & Amber Fort, Ranthambore Fort, Agra & Varanasi. 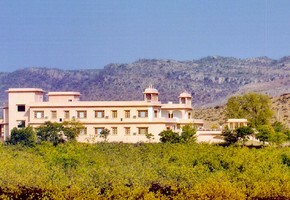 Park entrance fees at Ranthambore National Park. Domestic flight Varanasi-Delhi. 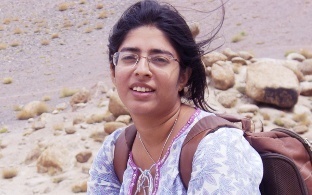 Domestic airlines maintain a flexible pricing based on changing supply and demand conditions. 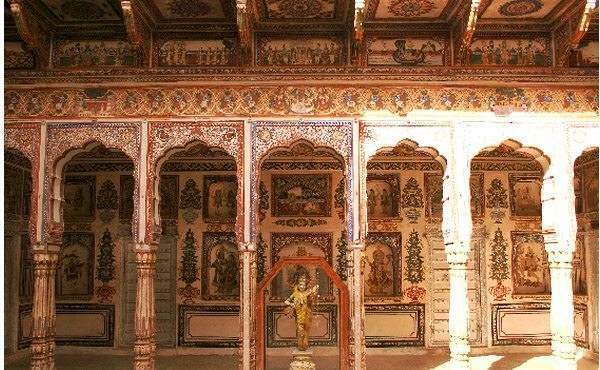 Mandawa is a small town situated in the heart of Rajasthan's Shekhavati area, famous for its painted havelis (mansions). 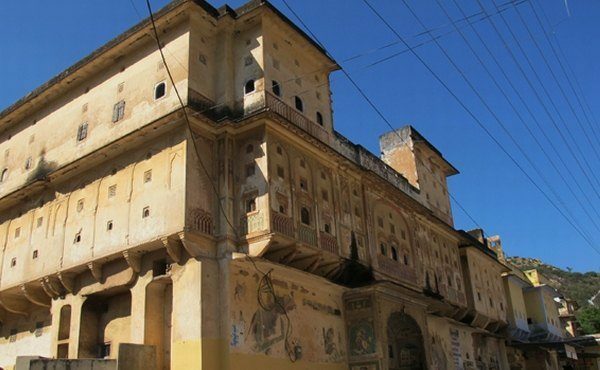 They were built in the 19th century by Marwari merchants who took over as patrons of the arts. 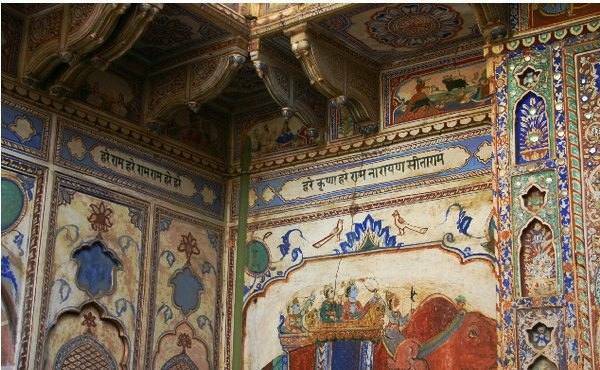 They built havelis lavishly decorated with frescoes which became the symbol of the status of the Marwaris and a home for their extended family, providing security and comfort in style. 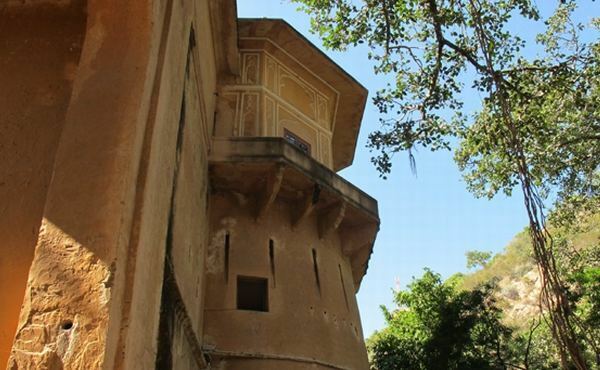 Samode is a small village nestled among rugged hills where cobbled narrow streets curve up till you reach the fairytale palace. 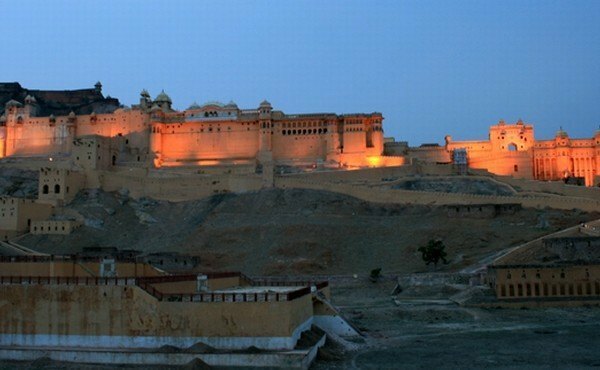 This superbly restored eighteenth-century palace was put on the map by its starring role in the 1984 mini-series `The Far Pavilions'. 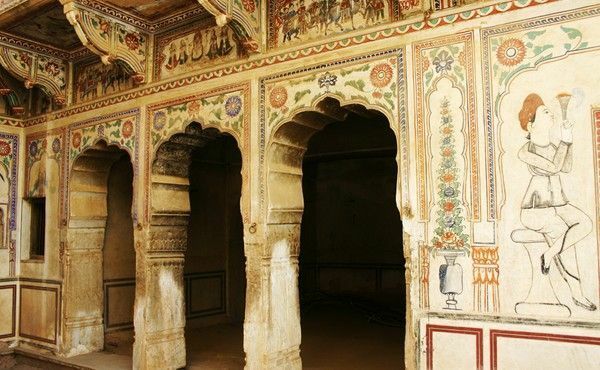 Coming from Jaipur, Samode is the gateway to the famous Shekhawati area of Rajasthan. 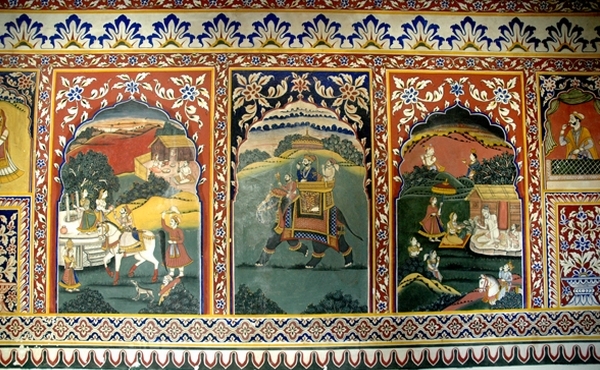 The Samode palace itself has several frescoes - original and also newly redone, in many of its public areas. 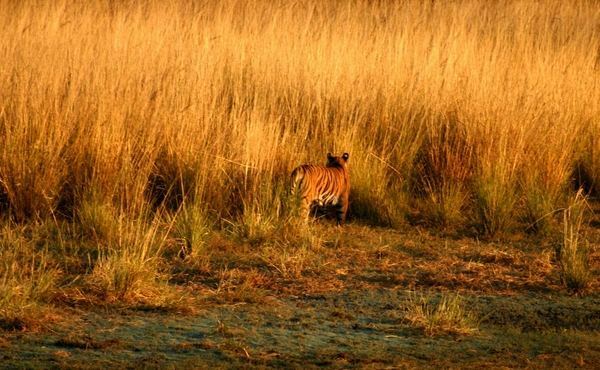 The busy dusty town of Sawai Madhopur is the base for visiting the beautiful Ranthambore National Park, with the various accommodation options all found along the 10km road between the town and the park entrance. 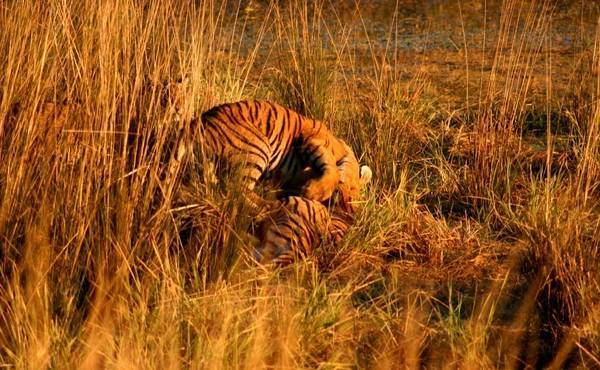 The landscape is much more open that in many other parks, making tiger sightings more frequent, though still a matter of chance. 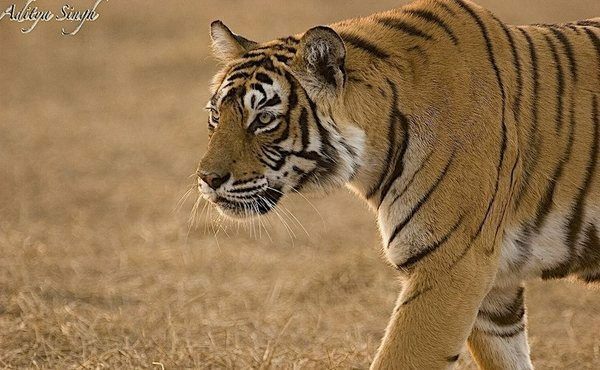 Other wildlife includes sambhar, nilgai, sloth bear, jackal, crocodile, much bird life, and even some rarely seen leopard. The park can be explored by jeep or open van. 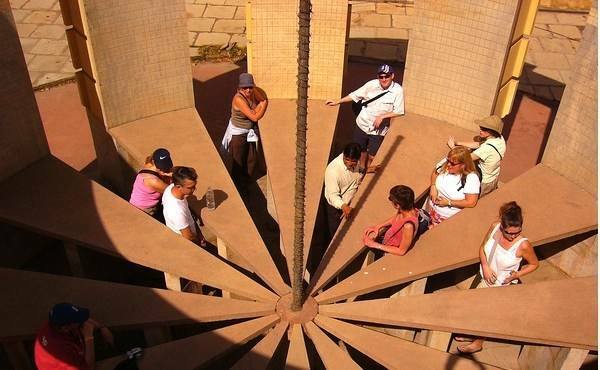 The park is closed during the monsoon months of July, August & September. 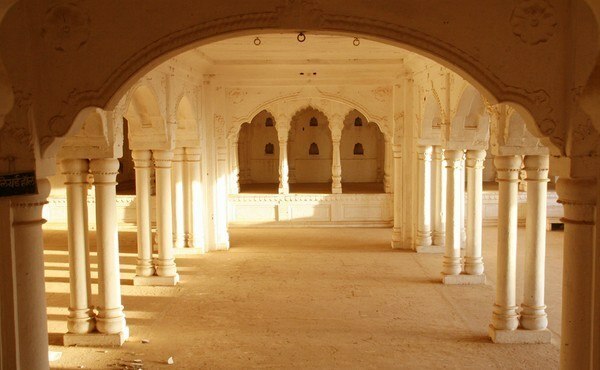 Karauli, midway between Bharatpur and Ranthambore, has a magnificent palace. 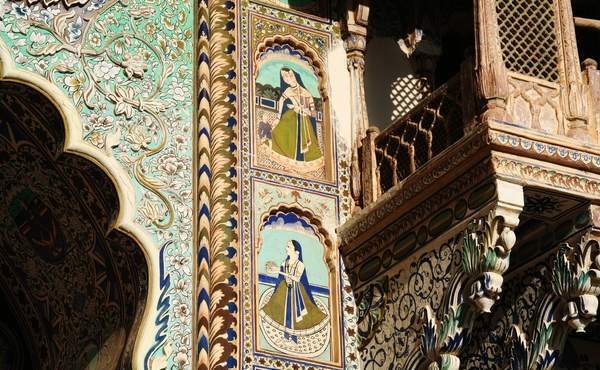 Built in 1635, the old City Palace is a treasure trove of architecture, stone carvings, gorgeous jali work and classic paintings. 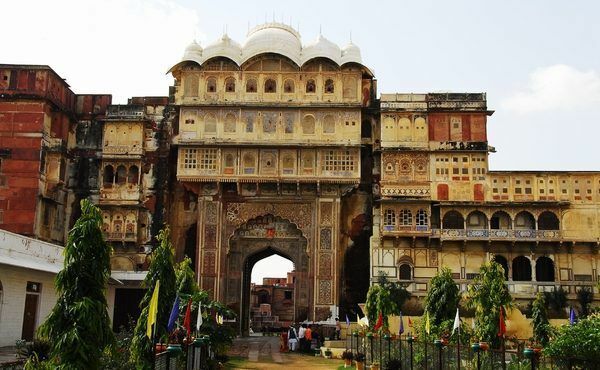 Karauli has an interesting bazaar full of exclusive items of handicraft, stone carvings and colourful bangles. 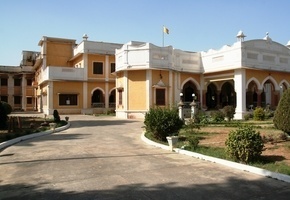 Just outside Karauli is the Bhanwar Vilas Palace, the residence of the Maharaja, and a now a beautiful heritage hotel. 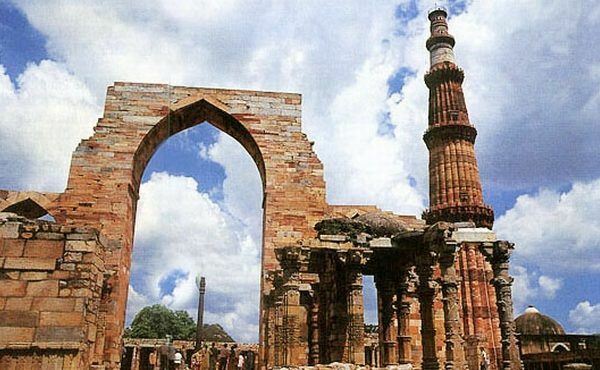 The time in India on 26 April,2019 is now 03:33 hours.